SHREVEPORT, LA — The Meadows Museum of Art at Centenary College opens its first three exhibits of the 2018-2019 academic year with a reception Thursday, September 13, from 5:30 to 7:30 p.m. 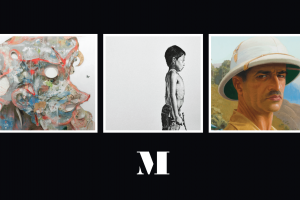 The reception is free and open to the public and some of the exhibited artists will be on hand to interact with guests. The Meadows will open DEVIL IN A WHITE CITY by Lavar Munroe, Aún Recordamos Aquel Hogar featuring five South Texan LatinX artists, and Lives Within an Odyssey: Portraits by Jean Despujols. The Meadows is home to the Indochina Collection of Jean Despujols, a set of 350 paintings, watercolors, and drawings created between 1936 and 1938. The September 13 opening reception will give Meadows visitors a first chance to tour the museum’s new permanent gallery on the second floor. The gallery will host works from the permanent collection in rotating exhibitions that reflect the underlying curatorial theme of the museum. The Friends of the Meadows will also host an after-party following the opening reception on September 13. It is open to Friends only, but new members can join at the door. Visit centenary.edu/meadows throughout the fall for information about upcoming exhibits and special events at the Museum. The Meadows Museum of Art is located on the campus of Centenary College of Louisiana at 2911 Centenary Boulevard in Shreveport, Louisiana. The Museum is free and open to the public Monday and Tuesday from 10:00 a.m. to 6:30 p.m., Wednesday through Friday from 10:00 a.m. to 5:00 p.m., and Saturday from 10:00 a.m. to 4:00 p.m. The Museum is closed on Sundays and during all school holidays. For more information or to schedule field trips, call the Museum at 318.869.5040 or visit centenary.edu/meadows.